Dough Maker is an instrument that makes your Kitchen work more easy and comfortable. Buy Amiraj 2-in-1 Dough Maker, Transparent/Green worth Rs. 599 at Rs. 258 only. It’s a 2-in-1 dough maker and you can make atta, soup, milk shake, mango pulp, butter, beating, cream, eggs, liquidizing tomato soup, dal, etc. It is made up of plastic. It’s a good deal. So, Hurry and Buy Now !!! 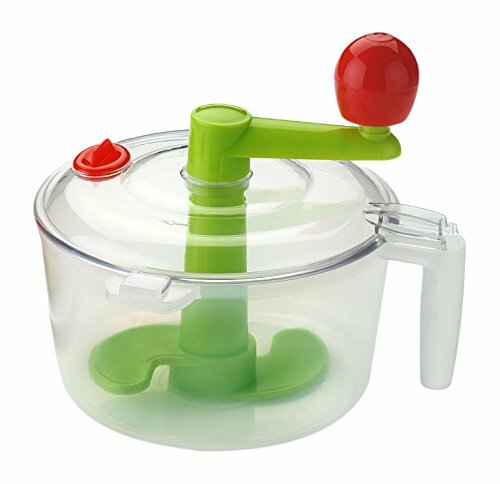 How to Buy Amiraj 2-in-1 Dough Maker, Transparent/Green at Rs. 258 ?